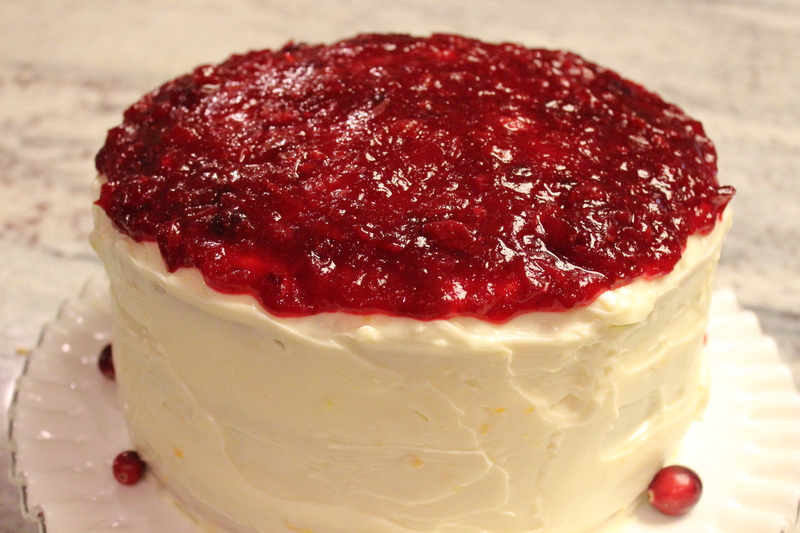 Cranberry Orange Vanilla Cake is an experiment when I needed a Christmas Cake recipe for an upcoming event and to create a new recipe for Christmas Cake for an upcoming Holiday Cake Roundup of blogger recipes. I knew that I have had cranberry bread with orange flavoring and orange peel in it and cranberries and oranges seem to naturally compliment each other. 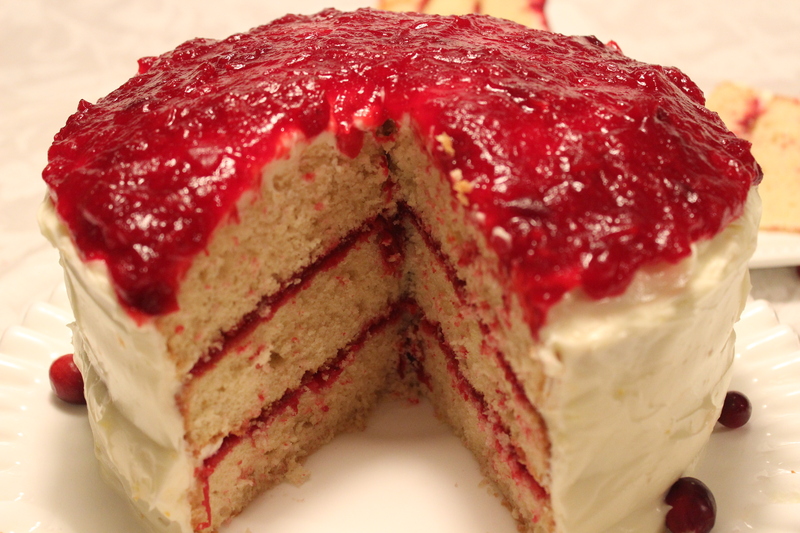 So I decided that Cranberry Orange Vanilla Cake would be a perfect cake and certainly be perfect for the holiday season. On the day I was planning to make the Cranberry Orange Vanilla Cake I was asked to babysit for the “little sweet one” below and being the grammy that I am, of course I said yes. I had the cake made before she got there and all I had to do was make the cranberry sauce and the orange frosting and assemble the cake, the hard part but fun part. Somehow when I wasn’t looking a piece of cake went missing ? What? I’m calling it “The Case of the Missing Piece of Cake”. I’m not saying she is guilty but she sure looks suspicious!!! The cake is a three layer cake and with one piece of the cake missing it would not be easy to decorate but somehow I pulled it off by using extra orange frosting in the missing area. 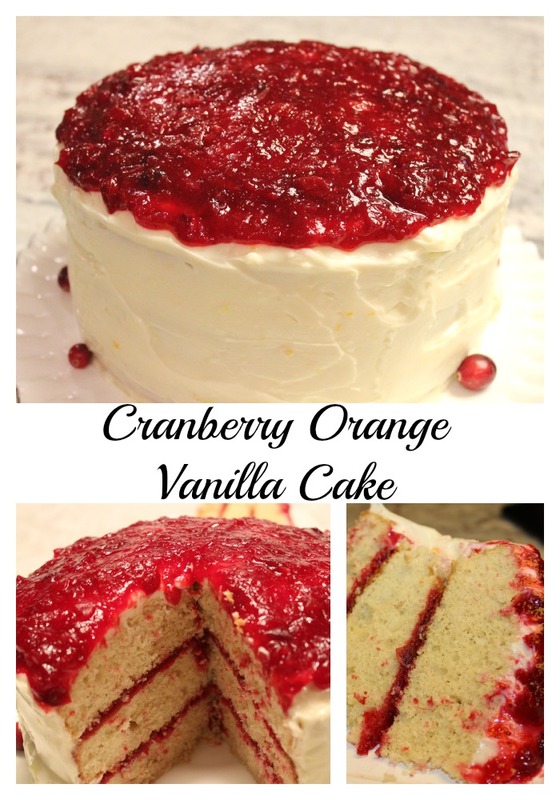 Cranberry Orange Vanilla Cake is a delicious white cake filled with cranberry sauce and covered with a orange cream cheese icing. 5 eggs - room temp. Preheat oven to 350 degrees fahrenheit and 4 8 inch cake pans, butter and flour the pans. Mix flour, baking powder, salt in another bowl. Gradually add 1/2 shortening mixture with 1/2 liquid. Add remainder of ingredients and mix until creamy and smooth. Fill the 4 pans 1/2 full with batter. Place cranberries, water, sugar, orange juice and orange peel in a medium size sauce pan. Cook on medium heat until the cranberries break apart and the sauce thickens to the consistency of jam. Place cream cheese, butter, vanilla, orange peel into a mixing bowl. Mix until combined. Add sugar a little at a time until well incorporated and the frosting is still thick and fluffy. Take one layer at a time and place on plate. Take 1/3 of the cranberry sauce on top of the first layer and spread evenly until 1/2 inch of the edge of the layer. Place the second layer on top of the first and place 1/3 of the cranberry sauce on top and spread evenly until 1/2 inch of the edge of the layer. Now place the 3rd layer on top of the first 2 layers. Do not put the cranberry sauce on this layer yet. First frost the entire cake with the Orange Cream Cheese Icing and place in the refrigerator for about 10 minutes. Then add the remaining cranberry sauce and spread evenly to the edge. First make the cake and let it cool. 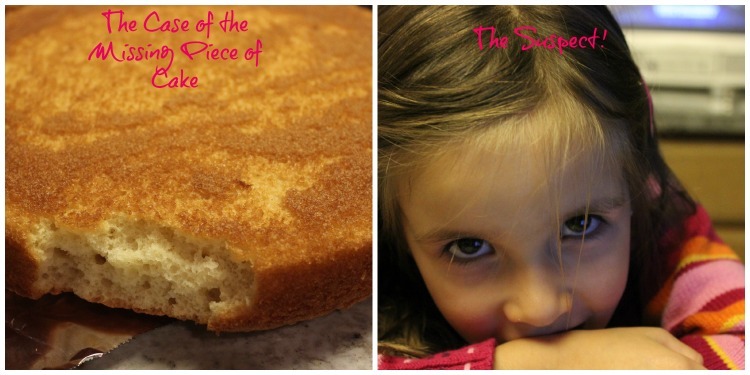 This cake recipe is an adaptation of The Best White Cake Recipe at Add A Pinch. While the cake is cooling make the cranberry sauce. 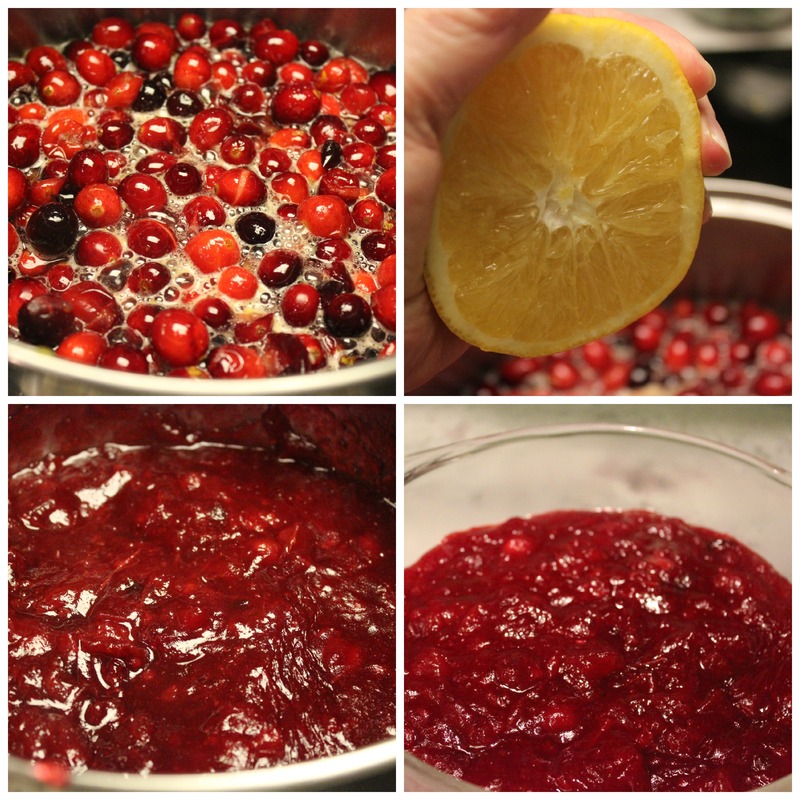 Use a large bag of cranberries, sugar, water, orange juice and orange peel and let it cook until it is the consistency of jam. The cranberries will break apart as they cook and become jam like. You will be looking for a sweet and tart taste with a hint of orange. It reminds me of homemade cranberry sauce that you would eat for Thanksgiving. It was so good that I ended up making another batch and using it for cranberry sauce for our Thanksgiving dinner. It was pretty popular. That looks fabulous. I've made several cranberry upside down cakes, but nothing as spectacular as this. Oh, thank you Choclette. My husband loved it. It was a large cake and we ended up freezing half of it and it was just as good when it thawed. Looks amazing! I love the combination of cranberry and orange. The vanilla cake just takes it over the top. Pinned! Thanks Jerry. We loved it! Well at least your suspect is adorable. I have my own culprit around these parts too. Love the flavors in this cake, I know I'd enjoy it thoroughly. Yes she is adorable (sometimes) :) The cake was a big hit! True, it is the perfect Christmas cake. Thank you Christie! How pretty! This looks absolutely delicious! That's Marye, it was very good! How adorable the missing cake piece suspect is though :) This cake looks so festive and perfect for the holidays! I'm not a huge fan of cranberries on their own, but the flavor combo with orange and vanilla sounds wonderful. Lol, she is adorable sometimes! I'm not a huge fan of cranberries either but this combination seems to work well and was delicious! Lol, that is a funny prank from your brother! She isn't that sneaky yet but it's coming I can tell. Cranberries are a seriously underrated fruit. 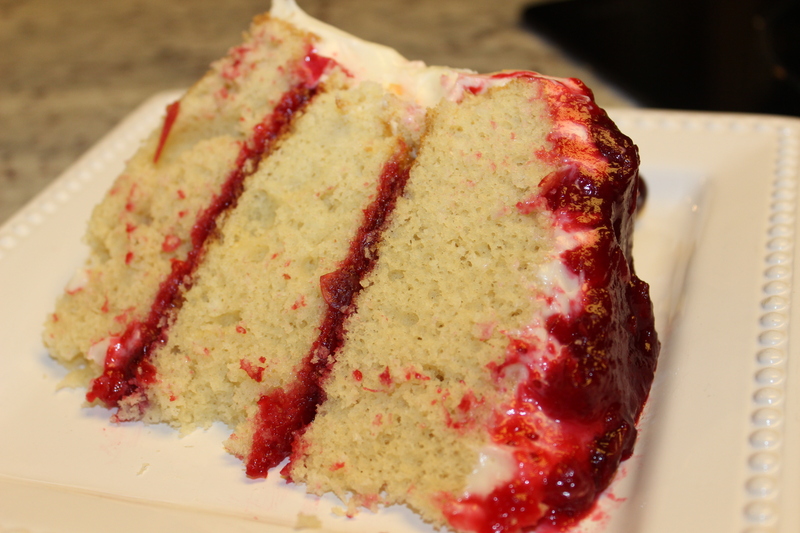 The orange cream cheese frosting sounds like a perfect compliment to the cranberry sauce and cake! We really enjoyed the combination. Thanks Kirsten.